William Y. Adams grew up in an Indian Service family in an Indian Service town in the 1930s. Window Rock, Arizona was the newly founded administrative capital for the vast Navajo reservation, and all 298 of its residents were Indian Bureau employees or their families. With the exception of a few low-level service personnel, none were Navajo, nor did they have any detailed familiarity with the world of hogans and corrals. They were technocrats, skilled in agriculture, range management, forestry, mining, education, public health, and law enforcement, among other things. Despite their varied backgrounds and skills, however, they shared a common determination to “do right by the Indians” after decades of government neglect and mismanagement. That concept, however, originated not in Window Rock but in Washington, the administrative headquarters of the Bureau of Indian Affairs. In the years following World War II, Adams lived and worked among Navajos and Hopis in a number of different capacities. As an archaeological explorer, an ethnologist, an interviewer for the Arizona Bureau of Ethnic Research, a livestock drive foreman, and—perhaps most importantly—a trader, he became aware of the myth of the Indian: a belief in “the Indian” as a kind of unitary, symbolic figure, who stood as the surrogate for hundreds of tribes, cultures, and languages spread across the American continent. 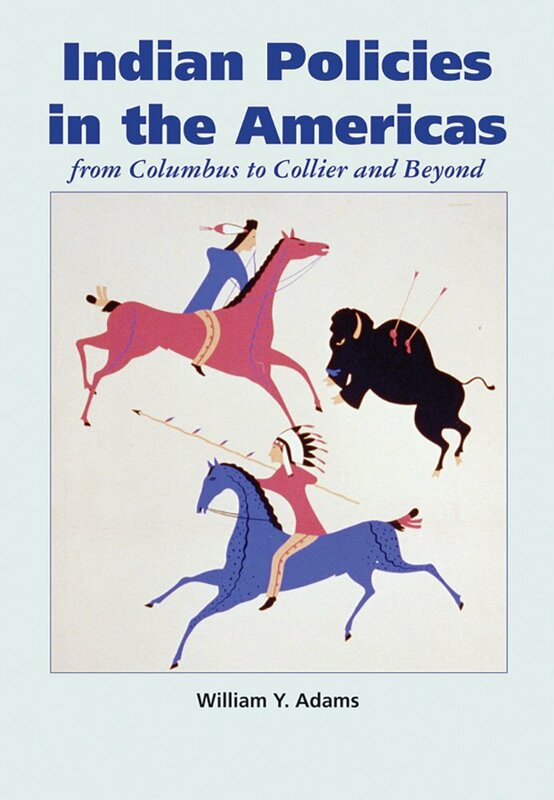 In Indian Policies in the Americas, Adams addresses the idea that “the Indian,” as conceived by colonial powers and later by different postcolonial interest groups, was as much ideology as empirical reality. Adams surveys the policies of the various colonial and postcolonial powers, then reflects upon the great ideological, moral, and intellectual issues that underlay those policies.